The Nest house and product icons are provided as UI elements for your Works with Nest product and app. Use the Nest house icon to represent Nest in your Works with Nest product and app. Use Nest product icons to represent Nest devices in your app. In this example app, Logo is your company logo, and CTA is a call to action. Note that the thermostat icon is reversed - it's OK to do that, so long as you don't change the color. You can use the word "Nest" in plain text. 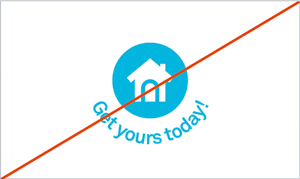 Use the Nest logo only with prior written approval. 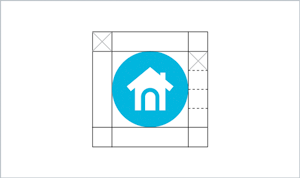 The Nest house icon has several versions to support different backgrounds. 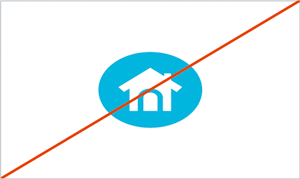 When possible, the Nest house icon should appear in Nest Blue, which is HEX # 00AFD8. This is the preferred color for both light and dark backgrounds. 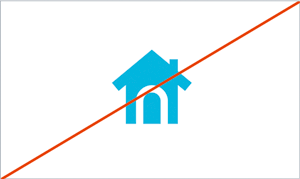 The house within the icon should be white (HEX #FFFFFF). 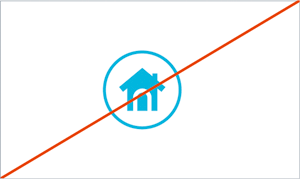 The Nest house icon may also appear in Nest Gray (HEX #7B858E) on a white or light background, or reversed out of a dark background. 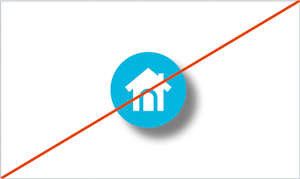 When the icon is reversed, the circle must appear white (HEX #FFFFFF) and the house should be Nest Gray (HEX #7B858E). 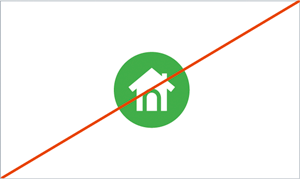 The Nest house icon should never appear smaller than 32px. 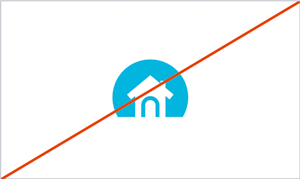 The minimum clear space around the Nest house icon is 1/4 the size of the icon. Keep this area clear of any text or objects. 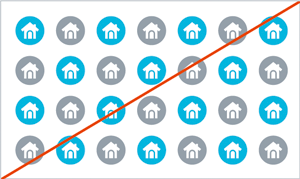 To show a specific Nest device within your app, you can use the product name in plain text or one of these icons. These icons should appear in Nest Gray (HEX #7B858E) on a white or light background, or white (HEX #FFFFFF) on a dark background. To maintain the integrity of the Nest brand, it's important to use the Nest house and product icons only as described in these guidelines. 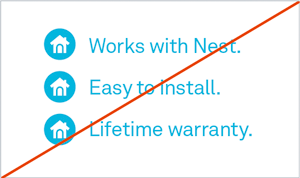 Don't modify the approved Nest product icons, or create icons or other depictions to represent Nest products. When creating imagery or icons to represent a thermostat, camera, or smoke alarm, don't mimic the physical characteristics of Nest products. Don't use shadows, reflections, or glow effects with the icons. Don't rotate, skew, or stretch the icons. Don't outline the Nest icons or modify the icon artwork in any way. Don't use the icons in unapproved colors or gradients. Don't place the icons on a busy image or pattern. 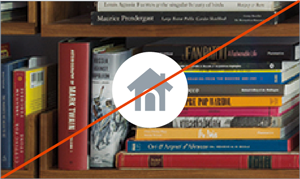 Don't use the Nest house icon, or product icons, as bullet points or within text. Don't combine Nest icons with text or other logos. Always maintain the approved clear space around the icon. Never crop the icons or alter the icon artwork in any way. Always use the entire icon. Don't separate the elements of the icon artwork. Don't create a pattern using Nest icons.